At the EverLine office in Winnipeg we have high quality epoxy flooring products and cutting edge equipment to deliver superior epoxy flooring solutions. Large or small surfaces, it doesn’t matter we can help. If you’re looking to protect the floors in your Winnipeg business, epoxy flooring from the coating experts at EverLine Coatings and Services is a great solution. In addition to protecting the floors in your business, it’s also a great way to create a non-slip surface in high-risk or high traffic areas. The epoxy flooring experts at EverLine Coatings and Services can apply epoxy floor coatings to areas with any dimension. If you’re looking for a unique flooring solution, our epoxy flooring experts can also apply epoxy flooring coatings in any colour or design that you would like. The coatings are easy to clean. They are chemically resistant in the event of a spill. The coatings are customizable for each application. We can use any colour or design you would like. One of the significant contributors to the success of EverLine Coatings and Services is our commitment to our unique CORE quality system. CORE stands for clear scope, operations reports, reach out, and evaluate. We strive to be completely transparent with our clients and ensure that we are meeting your expectations with every step of our projects. At EverLine Coatings and Services, we operate by three fundamental values that differentiate us from our competition. These fundamental values are continually innovate, systemize quality for a perfect job every time and our commitment to always answer the call when our clients need us. Our unwavering commitment to these fundamental values enables us to offer solutions that are unmatched by our competitors. Every EverLine client receives the highest quality of work, we work within your schedule, and we are always there when you need us. It is this level of services and commitment that has us at the forefront of our industry. At EverLine Coatings and Services, we take pride in innovating our services to continually serve our clients the best that we can. Innovation is one of our keys to success and an essential factor when providing epoxy flooring solutions to businesses in Winnipeg. Epoxy flooring products and coatings are continually being improved and changed so that manufacturers can offer a better end product. At EverLine, we test and implement the best epoxy flooring products to ensure we are always on the cutting edge when it comes to delivering the best epoxy flooring solutions to our clients. In addition to changes and improvements in the products, we are committed to evolving our application process to ensure a proper application and a quality job every time. At EverLine Coatings and services, we are committed to continually training our epoxy flooring specialists to ensure that they can execute the new epoxy coating application methods flawlessly. When you use EverLine Coatings and Services epoxy flooring coatings and solutions, you can rest assured knowing that you are receiving the industry’s best and most up to date epoxy flooring services. Is your business having an epoxy floor coating applied by the epoxy flooring experts at EverLine Coatings and Services in the near future? 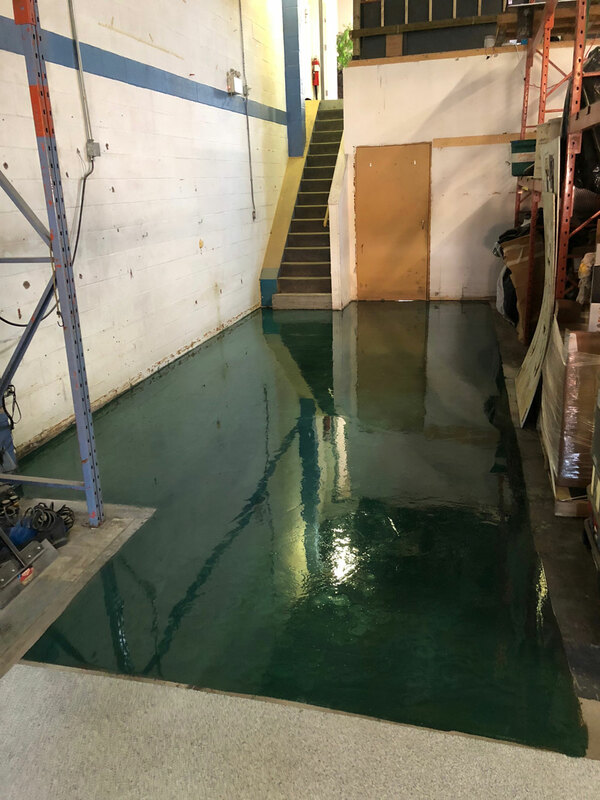 There are a few steps you can take before our epoxy flooring crew’s arrival to ensure the application goes as smoothly as possible. First, please ensure that they the surface that is going to have the epoxy flooring product applied has been cleaned and that it has been cleared of any debris. This will ensure our epoxy flooring experts will be able to apply an epoxy coating to your floors quickly and ensure a good bond for longer longevity and a flawless finish. In addition to cleaning the floor, please put up signs to alert people of a wet coating on the floor and not to walk on the area that has had the epoxy coating applied. If someone ends up walking through the wet epoxy, it will ruin any work that has been completed on the floor. At EverLine Coatings and services, we are committed to delivering the best quality value to our clients possible. That being said, no two epoxy flooring applications are the same. Our epoxy flooring prices can vary depending on a number of factors such as the size of the area to be coated, the type of epoxy being used, and any other additional complexities that our epoxy flooring experts may experience. Our epoxy flooring experts take the time to learn all of the details of your upcoming project and the budget you have to work with. Please contact us to receive a quote on your upcoming epoxy flooring project.